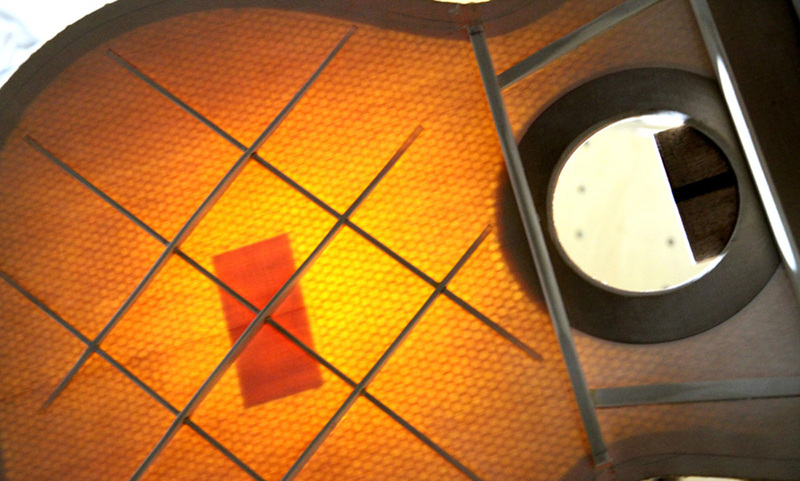 The terms double-top, sandwich-top, and composite-top all refer to a relatively new way to build the soundboard of a guitar, Master guitar maker Gernot Wagner has received enormous international acclaim over the years for his revolutionary idea to employ Nomex technology in doubletop guitar construction. (Wagner’s idea was first adopted and popularized by his friend and colleague, Matthias Dammann, who built the first doubletop guitar using this unique technology). Other luthiers such as Robert Ruck, Fritz Mueller, Jim Redgate, Michel Bruck, Boguslaw Teryks jus to name a few, have since adopted the method. A double top usually consists of a material called Nomex sandwiched by two thin sheets of tonewood. A flame resistant meta-aramid material, Nomex was originally designed by DuPont Chemical Co. in the 1960s as a lightweight material for use in the aviation industry. 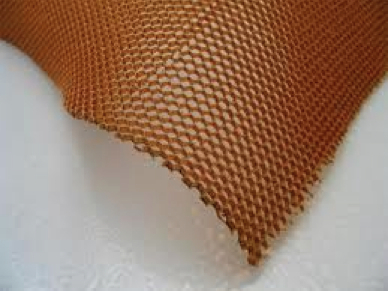 Luthiers use the honeycomb sheet (calendered paper) version of the product: the low mass, strength, and ease of shaping make it ideally suited for guitar soundboards. Though the construction of a double top significantly differs from the traditional soundboard, a double top guitar often looks just like a traditional guitar. 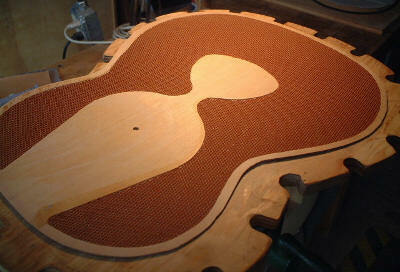 A thin soundboard is often incorporated and used to obtain the most vibration and to allow for optimal sound. Are they better than traditional fan braced top guitars? The truth is that the quality of the guitar and the building technique is more important than any other factor. If we judge a guitar with our ears without knowing the technique involved, we would not recognize a top class double top guitar from a top class single top guitar. If you are a guitar collector and want to have the best from every reputed guitar manufacturer, the double top is definitely a must to have addition to your collection, but if you are out there finding your next professional guitar, do not get confused, there are amazing guitars out there with an incredible sound. 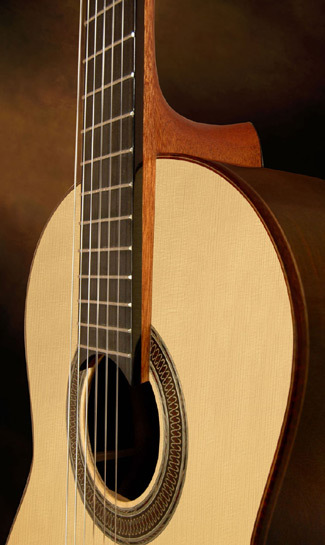 Posted in Acoustic Guitars, Classical guitars, Flamenco guitars, guitar, guitar music and tagged best classical guitar, best flamenco guitar, buy classical guitar, buy flamenco guitar, composite top guitar, doble top guitars, flamenco guitar price, Fritz Mueller, Guitar, Jim Redgate, Luthier, Music, Nomex, sandwich-top guitar, traditional flamenco guitar, www.guitarfromspain.com. Bookmark the permalink. Is it worth to pay that much money for a guitar?